Let's take a look at how to put your LTL freight rates in front of your salespeople with Freightview for Salesforce. Salesforce is a cloud-based CRM solution. If you don't have an account set up and you want to learn more, you can check out all that Salesforce has to offer here. If you don't have a Freightview account, you will need one to get this setup, but don't worry, we offer a 30-Day no risk free trial. So what are you waiting for? Sign up! Once you have a Freightview account, follow the steps below to set up Freightview for Salesforce. 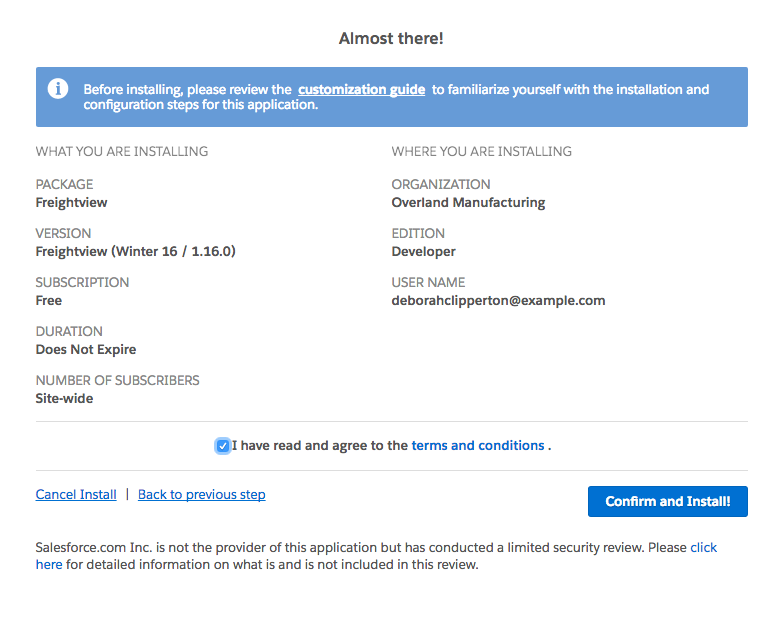 First, you will need to install Freightview from the Salesforce AppExchange. On the Freightview AppExchange page, click Get it Now. Login with your Salesforce credentials if you haven't already, and then choose Install in production. Agree to the Terms and Conditions and click Confirm and Install. Next, you will be prompted to choose which user accounts will be able to use Freightview. 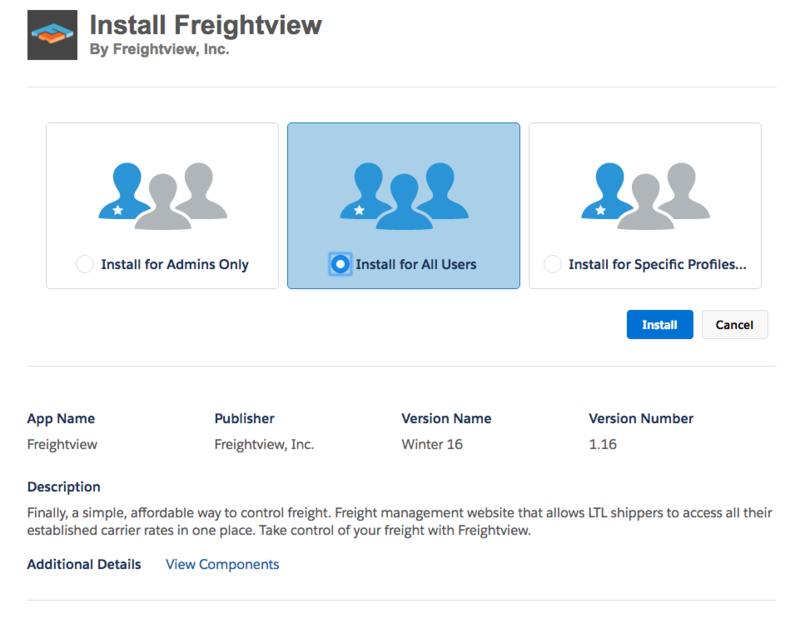 We recommend installing Freightview for all users. 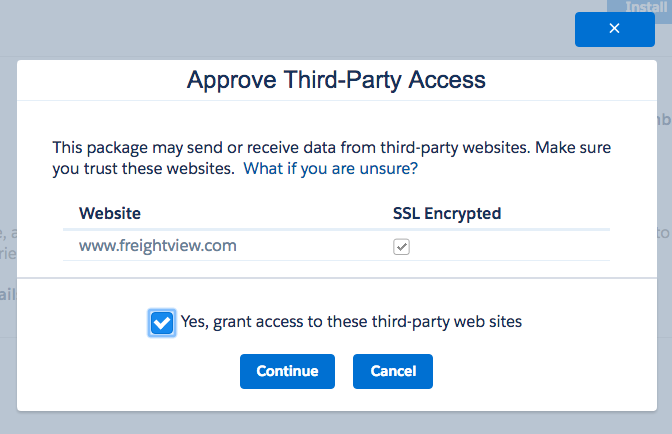 Grant access to Freightview and click Continue. That's it! 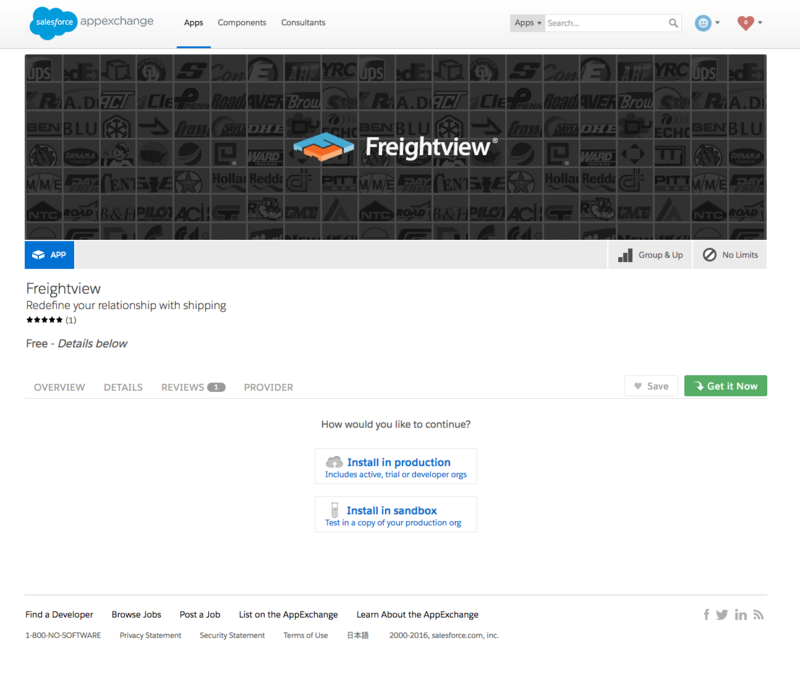 Freightview for Salesforce is now installed. 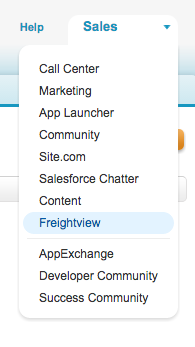 Once you have Freightview for Salesforce installed, login and go to the Sales menu in the top right. Select Freightview from this menu. Click on the Settings tab from the bar on the top of the page. Enter your API Key from Freightview into the API Key field. Click here for details on how to get your API Key from inside of Freightview. On this page, you can also optionally add default Ship From and Location Type information. Click Save once you are finished. 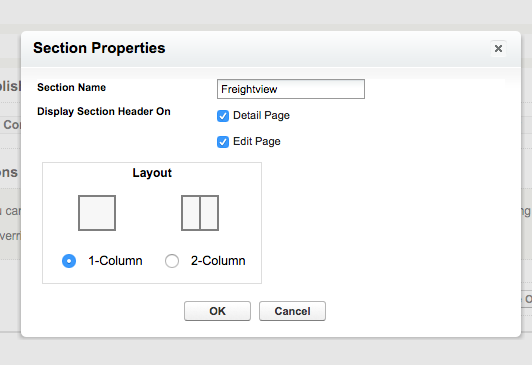 The Freightview package automatically installs new layouts for the Account and Opportunities pages. 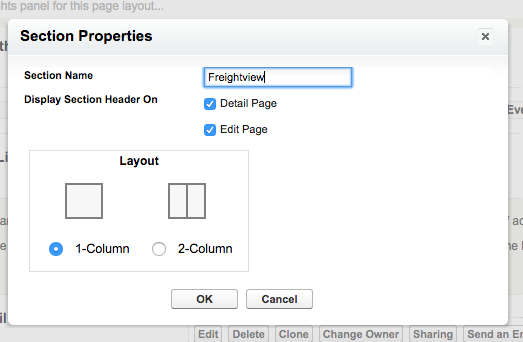 You can follow the setup instructions below to add the Freightview pages to your current layouts. Select Setup from the top right; then, in the bar on the left side under Build, select the dropdown for Customize. From this menu, select Accounts and then Page Layout. Choose a page layout and click Edit. 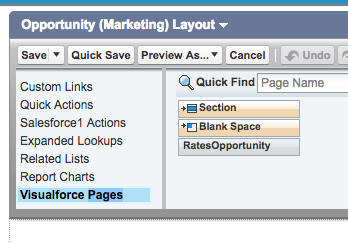 In the layout modification section, scroll down the menu on the left side and click on Visualforce Pages. Click and drag the Section box onto the screen. Enter Freightview for the section name, change the layout to 1-Column, and click OK.
Back in the layout modification section, you will see RatesAccount. 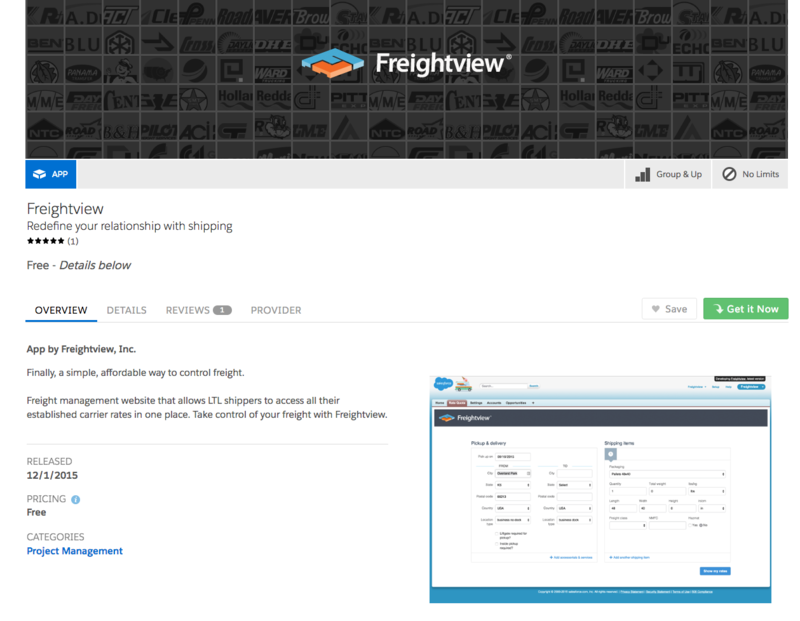 Click and drag this into the new Freightview section that you created. Click on the small wrench icon in the top right corner of the blue box to edit the Properties. Change the height to 700, check Show scrollbars, and click OK. Finally, click Save in the top left corner of the layout modification section. 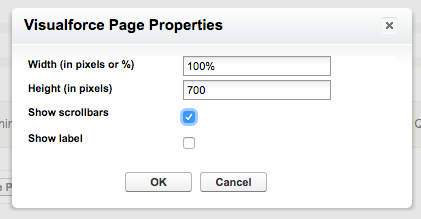 Setting up the Opportunity Page Layout is very similar to setting up the Account Page Layout. Like before, select Setup from the top right of your screen; then, in the bar on the left side under Build, select the dropdown for Customize. This time, select Opportunities and then Page Layout from the menu. Once you have the layouts set up, you will be able to request rate quotes from within Salesforce. Below is a quick guide to requesting a rate quote from within Salesforce. Under Pickup & Delivery, enter in a pickup date. Enter in ship from and ship to information. Select the location type and fill out any optional accessorial information. Under Shipping Items, select a packaging type for your first item. Enter in the total weight of the item. Enter in the length, width, and height of the item. Optionally, you can enter in the freight class of the item. Also optionally, you can enter in the NMFC code for the item. Specify whether or not the item is Hazmat. 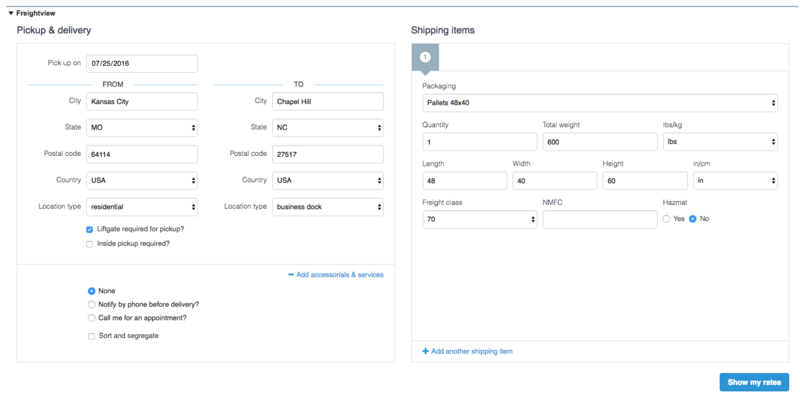 If you want to add another item, click on the Add another shipping item option. If you want to remove an item, select the item number and then click on the "X". Finally, click the Show my rates button to submit your request. Rates will be returned and displayed below your request. All rates returned will provide an option for you to add the rate as a note on the record (just click on the notepad icon to the right of the rate). You can view the note you added under the Notes & Attachments section. You may need to refresh the page to see new notes. Click Edit to view more details and modify the note. Freightview for Salesforce also has a Quote Extension, which allows you to add Freightview rates to your Salesforce quotes. Click here for instructions on how to install the Quote Extension.